Day 37: beautiful bike ride! Today started off rough as, then brightened up in the afternoon, meaning that I could head out for a ride. All was going well too, till I made turn 3! When I reached turn 3, I suddenly realised why I had been ripping along effortlessly to this point and a lovely pace: ack: wind! 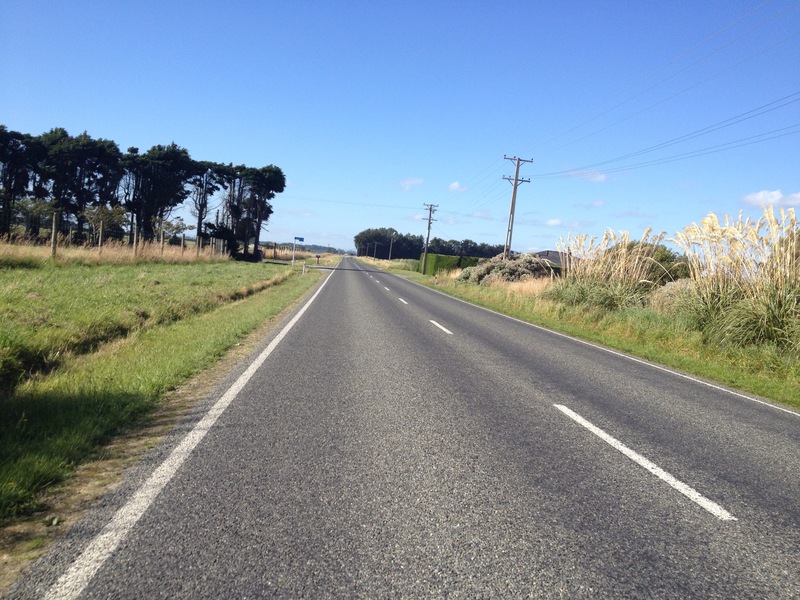 Thing with southland is it is so flat and open there’s often not much vegetation to guage the wind strength from, the legs (and the speedo) are the best tester! Today’s breakfast smoothie was a little strange to be honest. It did the trick, I was just fine till lunch, but I’m not quite sure on the taste. But then, they say not all things that are good for you taste nice? Let’s put it this way, I couldn’t taste the banana!